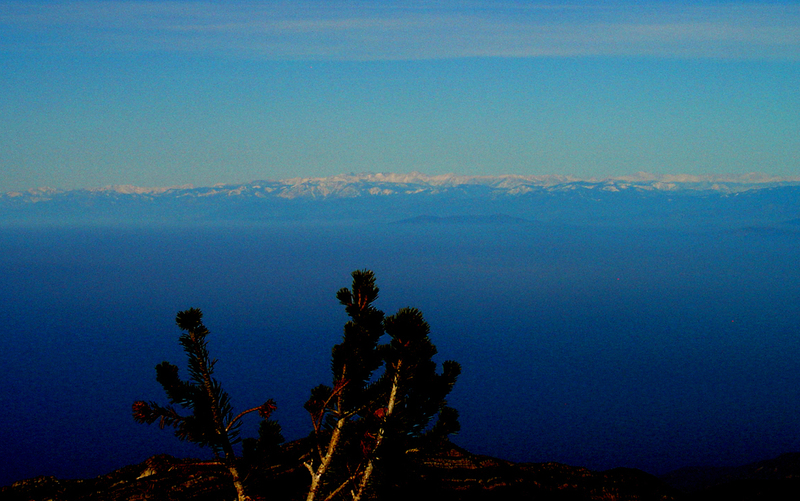 View from the Pinos-Sawmill-Grouse ridge to the Channel Islands on a clear winter day, Dec 2008. Photo by Reiner Stenzel. 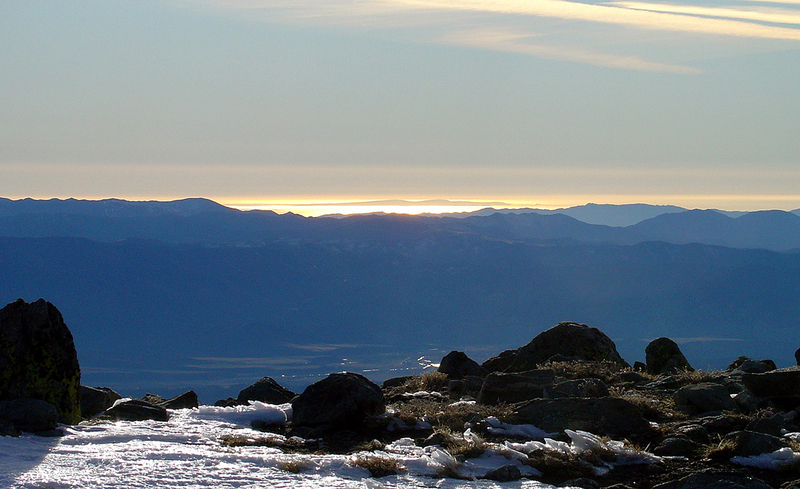 View from Sawmill Mtn to Mt Whitney and the Sierra Crest on a clear winter day, Dec 2008. Photo by Reiner Stenzel.